National Work Zone Awareness Week is an annual campaign that promotes awareness for work zone safety. Each year public agencies, organizations, and individuals across the country come together to advocate for people working in roadway construction work zones. This year, National Work Zone Awareness Week is April 8-12, 2019. The 2019 theme is Drive Like You Work Here and is intended to help raise awareness of the importance of work zone safety for roadqway construction workers in work zones. The national kick-off event will be held in Washington, D.C. on Tuesday, April 9, 2019 at the Frederick Douglass Memorial Bridge at 11:00 a.m.
As part of this public awareness campaign, “Go Orange Day” will take place on April 10, 2019. All roadway and safety professionals across the Country are encouraged to show their support for work zone safety, and support for the families of victims who have lost their lives in and around roadway work zones. You can expect to see people dressed in bright construction-cone orange to bring attention to important issue of work zone safety. Sadly, the National Work Zone Memorial bears the names of more than 1,400 people who have been killed in and around roadway work zones. A local memorial in New Hampshire is under construction that will bear the names of the 36 public works employees who have been killed on the job in New Hampshire, with five of those names representing New Hampshire Department of Transportation workers who were killed in or around roadway construction work zones. 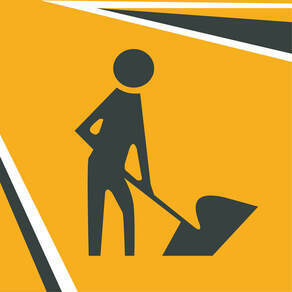 National Work Zone Awareness Week is timed just as the spring and summer roadway construction season gets underway. Transportation officials use this time to remind the public to be aware of roadway construction work zones and work zone safety. The Drive Like You Work Here Campaign raises public awareness for worker safety in and around work zones. Work zone safety is important too for protection to the public who are traveling by car, bicycle or foot near roadway construction. Work zone safety must include critical protection for workers and the public alike. An unsafe work zone — or an unsafe traffic or pedestrian detour around a work zone — can be fatal or result in catastrophic injuries for any unsuspecting member of the public. The injury and accident attorneys at Tenn And Tenn, P.A. understand the complexities that take place when the unimaginable happens, and you or a loved one suffer an injury in or around a roadway construction work zone. As roadway construction worker or as a member of the public, an unsafe work zone can result in severe or fatal injuries. As advocates for our clients, we work hard to maximize recovery for the injuries and losses that you suffer as a result of an unsafe roadway construction work zone. Contact one of our injury and accident attorneys today for a free injury consultation.